We welcome exhibitors and sponsors of all varieties: musical instrument companies, equipment providers, music venues, performing arts companies, publishers, recording companies, and other related firms to exhibit their products at the 44th annual International Trumpet Guild Conference, held at the Hyatt Regency in Miami, Fl, from July 9 – July 13, 2019. With recent conferences boasting an attendance of close to 1500 the 2019 Conference is the perfect opportunity to exhibit your product to your target market – trumpet players and educators! A non-refundable deposit of 50% must be put down in order to secure your space. The full balance is due on April 1st, 2019. Full details and payment plans listed on the contract. No space will be held unless a fully completed and signed contract is received by conference director & treasurer. Two (2) personnel badges for the first table, and one (1) per additional paid table. Request info in advance, if desired. during regularly scheduled Exhibitor days. Shipping & Storage information is attached and based on the parameters established by the Hyatt Regency of Miami. ITG is not responsible nor does have anything to do with fees charged for such purpose. Note: Guests and groups are provided with complimentary storage fee up to five (5) days prior to the conference. Each company wanting to exhibit at the International Trumpet Guild will need to purchase at least one table ($400) and submit a fully completed contract. We strongly recommend booking your space prior early, as we cannot hold or guarantee space unless a contract and payment is received. Non-sound exhibit area will be located within sound area space but assigned a quieter section. This will provide each company even traffic throughout the week. No exhibitor applications will be accepted past April 1st, 2019. Table sizes are 72″ X 30” and comes with drape and skirt. Exhibitor Load In will occur on Tuesday from 9 am – 7:00 pm. Note: No late set-up time will be accommodated. Exhibitor Load Out will occur on Saturday afternoon from 2:00 pm – 5 pm. Private rooms will first be offered to our 2018 Diamond, Platinum, Gold, Silver, and Bronze Sponsors, as stated in the 2018 Sponsor packet. Additional rooms will be available on a first come, first serve basis. Because of high demand, full payment is required with the contract. 2018 Sponsors will receive priority booking for the 2019 private rooms at the Hyatt Regency in Miami. Private rooms require full payment at time of booking. 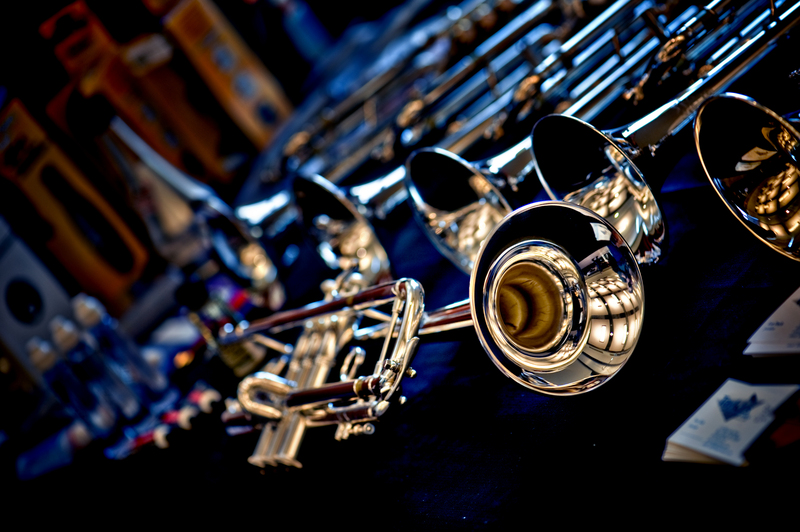 General information, including e-mail updates and regulations, for exhibitors become a part of the contract between the Exhibitor and the International Trumpet Guild. We respectfully request full cooperation of exhibitors in their observance. Any points not covered herein shall be addressed by the 2019 ITG Conference Staff. In addition, exhibitors must comply with all Hyatt Regency, local, state, and national fire laws. Exhibitors agree to maintain such insurance that will fully protect the International Trumpet Guild Conference from any and all claims of any nature whatsoever, including claims under the Workers’ Compensation Act, and for personal injury, including death, which may arise in connection with the installation, operation, or dismantling of the exhibitor’s display. Exhibitor agrees to indemnify and hold harmless the ITG Conference for any such claims, irrespective of insurance coverages. Exhibitor further acknowledges that insurance covering the exhibit and/or property against damage and business interruption losses are the sole responsibility of the exhibitor. Exhibitors wishing to insure their property must do so at their own expense. (Exhibitors are advised to add on the their insurance a portal-to-portal coverage protecting them against the loss/damage to their materials by fire, theft, accident, etc.) All exhibitors should have at least one attendant in their booth at all times, especially when exhibits are being moved in and out, to protect themselves against loss. No responsibility is assumed by the ITG Conference for goods delivered to the “exhibit areas”, or for materials left in the “exhibit areas” at any time. Exhibitors are required to have Certificates of Insurance available for inspection by the ITG Conference. Care should be taken to ensure that all insurance is valid in the city in which the ITG Conference is held. It is expressly understood and agreed by each and every contracting exhibitor and his or her guests that neither the International Trumpet Guild Conference nor their employees nor their contractors shall be liable for loss or damage to the goods or properties of exhibitors. On signing the Exhibit Space Rental Agreement, exhibitor releases and agrees to indemnify the ITG Conference, their coordinators, officers, members, sponsors, employees, and agents and hold them harmless from any suit or claim for property damage or personal injury (including punitive damages) by whomsoever sustained, including exhibitor and exhibitor’s agents or employees on or about the exhibitor’s display space or arising out of exhibitor’s participation in the exhibition, expressly including such damage or injury resulting in any part from the negligence of one or more of the aforementioned indemnities. The performance of this agreement by either party is subject to acts of God, war, government regulation, disaster, civil disorder, curtailment of transportation facilities, or other emergency overwhich neither party has control making it illegal or impossible to provide the facilities or to hold the function. The Hyatt Regency San Antonio is not liable to the exhibitors for any damage to or for the loss or destruction of any exhibit or the property of the exhibitor by fire or other casualty covered by an extended coverage endorsement to a fire insurance policy, whether caused by negligence of the hall, its officers, agents, servants, employees or otherwise, all claims for any such loss or damage being expressly waived by the exhibitor who agrees to indemnify and hold the exhibit hall harmless for such claims. For both liability and show quality reasons, exhibitors may not dismantle their display until the ITG Conference official closing exhibit hours. If an exhibitor dismantles early, said exhibitor ability to exhibit at future conferences will be at the Conference Director & ITG’s discretion. Should extraordinary events occur requiring early departure from the Conference, the exhibitor must notify ITG’s Conference Director onsite and make arrangement for such an occurrence. ITG reserves the right to adjust table/booth assignments and/or change the floor plan without prior notice if ITG determines it is in the best interest of the conference. ITG will not be liable for any errors or omissions in the Show Program, attendee lists, web sites, or in any promotional materials. If the ITG Conference is canceled/terminated for any reason beyond the reasonable control of show management, including (without limitation) acts of God, war, strikes, labor disputes, civil disturbance, terrorism, epidemic, or any other comparable casualty or condition, ITG agrees to refund 50% of all fees previously paid by exhibitor. The remaining 50% shall cover a sharing of costs, expenses and commitments. Thereupon, this agreement shall be deemed canceled by mutual consent, and ITG shall be relieved from all responsibility thereunder. If exhibitor chooses to cancel his participation within fourty-five (45) days of the conference, exhibitor’s waive the right to any refund for all fees paid. Cancellation prior to the forty-five (45) days window will receive refund of all fees minus the 50% non-refundable deposit.